Spring has arrived and we know what that means: heat and humidity will soon be on the rise! When humidity strikes, some of us (most of us?) can experience the dreaded frizz! The good news is, you don’t have to just “deal.” At Von Anthony Salon, we have the 411 on taming the frizz and adding softness and shine to your hair with a keratin treatment. Why choose keratin? Our keratin treatments are so effective because we go right to the root of the problem. Tangles, breakage, and that dreaded frizz are all caused by overly porous hair. The keratin treatment will fill in these pores, transforming each strand into a stronger and healthier version of itself. Want more good news? This treatment will also help to decrease your blow-drying time by over half, and the smooth results can last up to three months! Remember that not all keratin treatments are created equal. When you come to Von Anthony Salon, you can be comfortable knowing that our stylists are highly trained and we use only the best products for your hair. We are truly committed to helping you look and feel your absolute best! 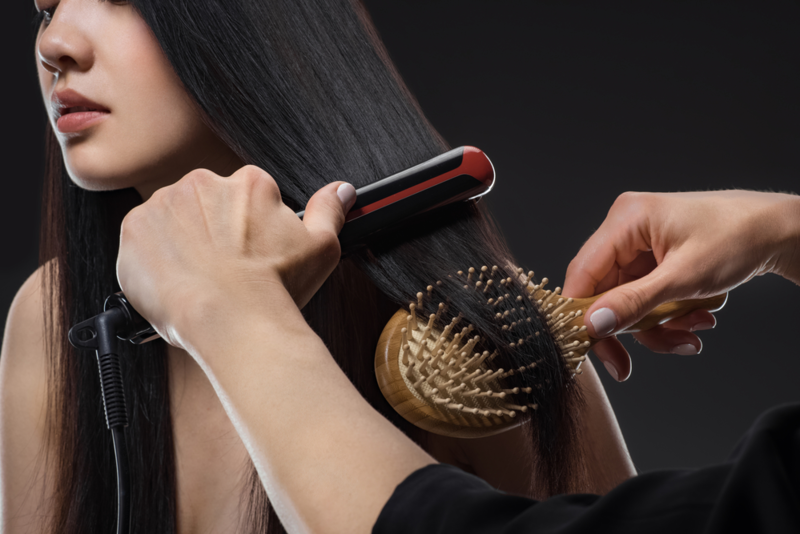 If you’re ready to show your hair some serious keratin love, come see us at Von Anthony Salon, where our team of professionals is ready to help you achieve the hair of your dreams. Call us at 972.731.7600 to schedule your appointment or take advantage of our mobile app to schedule at your convenience. Download it for free on iTunes, Google Play, or Amazon.